Two amazing honors for Handelabra this morning! 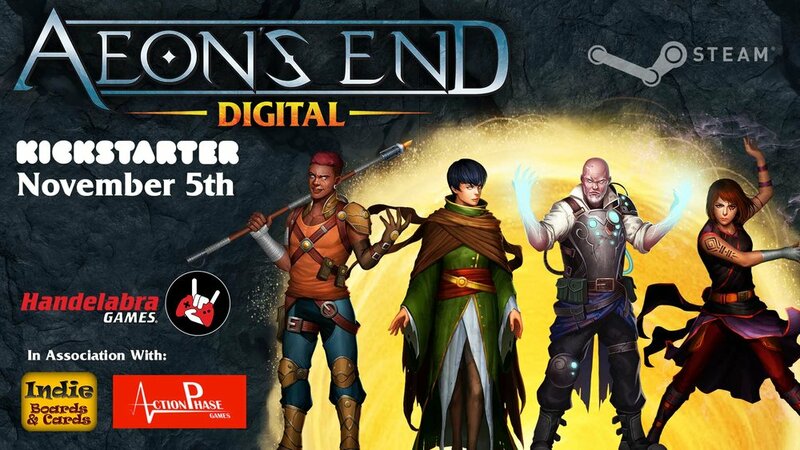 Our next digital tabletop project is now live on Kickstarter! We are thrilled to announce that development has officially begun on our next game: Aeon’s End. Join our mailing list or follow us on Kickstarter to be notified on November 5th when the Kickstarter launches! Season 2 continues with Mini-Pack 4. Now available on all platforms Mini-Pack 4 includes four new decks: Benchmark, Stuntman, Chokepoint, and the Celestial Tribunal.